We have prepared valuable free resources to help you understand the many stages of the legal process, as well as our Florida law videos that will help you deal with various situations. Our best legal resources are our attorneys, who will advise you ethically and skillfully as it applies to your situation. Learn more about Florida law, what we do, and how we do it. Kramer Law has been the source of legal analysis and commentary in the news, press and print journalism on a multitude of legal subjects. Click the links below to TV and Radio broadcasts featuring Kramer Law, and to articles authored by and featuring attorney Steven Kramer. 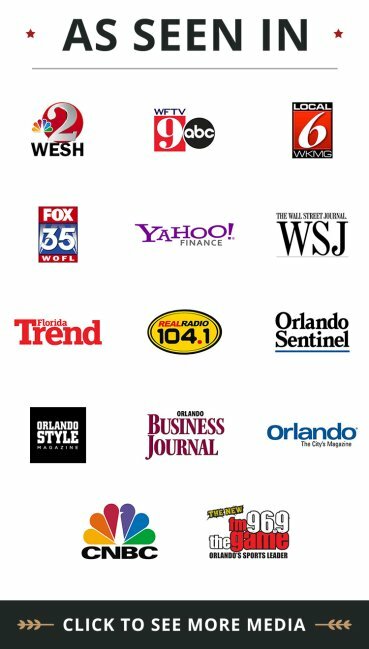 Summary: Over the years, Attorney Steven Kramer has been featured on many TV stations and new outlets throughout Florida providing legal insight to news issues. Check out some of the video clips of his appearances. Summary: Listen to sound clips of radio shows featuring attorney Steven D. Kramer, including "Kramer Makes the Call" segments on Real Radio 104.1. Summary: Looking for more information about the law, our law firm, or current news topics? Check our index of free articles. Summary: Attorney Steve Kramer has been featured in news articles around the web. View articles where he was featured. Summary: Read published articles spotlighting Kramer Law Firm to get insight into who we are, what we do, and how we can help you. Summary: Kramer has written articles on a wide range of legal topics that have been published around the web. Summary: From personal injury to entertainment and sports law, Kramer Law Firm's free web articles are a great go-to guide on many legal issues. Our commitment to excellence and client satisfaction drives us. The Kramer Law Firm is ready to handle any Florida law legal issue that a person may deal with in their lifetime. Our goal is to protect you, your family, your home and your business through both the promising and difficult times in your life. Being treated like a case number, or getting the exceptional, personalized care you deserve. Freedom and incarceration when you are facing criminal charges. Maximum compensation in a personal injury lawsuit. Keeping your home if you are facing a foreclosure. Success and failure when you are facing a business dispute, a divorce, estate planning or a probate legal challenge. 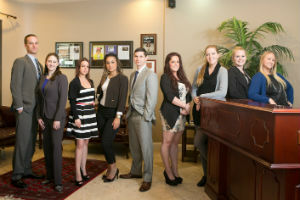 We treat our clients so that they have the best experience possible with our law firm. Our goal is to build relationships with our clients for life.